We are a local company based out of Nashville, TN. We offer shipping containers for sale or rent with onsite delivery. Our containers are secure and versatile. A wide variety of uses include storage of materials and equipment, as well as often being modified to serve as mobile offices and “tiny houses”. All of our steel storage containers are available for purchase or rental. While they are still perfectly suitable for shipping goods and materials overseas, they are going to be used locally mostly for temporary storage of equipment, materials, tools and the like. You can turn these steel watertight units into anything from extra outdoor storage to specialized units – point of sale kiosks, outdoor serving areas (think “outdoor bar”), parking storage units, on the spot garage units, simple mobile housing units, even incredibly detailed custom mini-homes. These conex shipping containers can be the base for so many things. We have customizers available to turn these units into almost anything you can imagine! 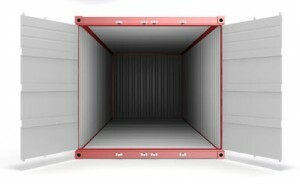 If you are in Nashville Tennessee or the surrounding areas, call us to order your storage container. Our containers are weather tight and durable. The door gaskets are water-tight to protect your valuable property. We are a full-service steel container company. We do not simply rent or sell you a container. We provide personal quality, attention and service unmatched in our industry. Our professionals will take the time to understand your needs and recommend the best solution based on your requirements. WE DELIVER Storage Containers in Nashville and Beyond! We will even deliver your storage container to your site and pick it when you are done. We can deliver your storage container today! 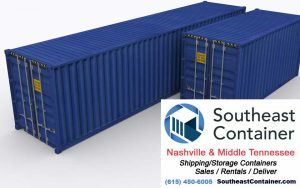 Serving middle Tennessee, in and around the Nashville, TN area.We are the best resource available for storage container needs in Nashville, TN and surrounding areas. You will see our storage containers all over the Nashville area, not to mention all of middle Tennessee and parts of Kentucky. Whatever your storage container needs, we are the go-to steel storage container solution for you. Just give us a call and we can deliver your steel storage container right to your property. When you don’t need it anymore, just give us a call and we will pick it up! Our steel storage containers are used for temporary and long term storage. All kinds of things are stored in our storage containers at construction sites such as tools, jack hammers, portable generators, forklifts, scissor lifts, air compressors, trenchers, loaders, tractors, pumps, materials, products, some vehicles and much, much more. Once the job is done, just let us know and we will pick it up.